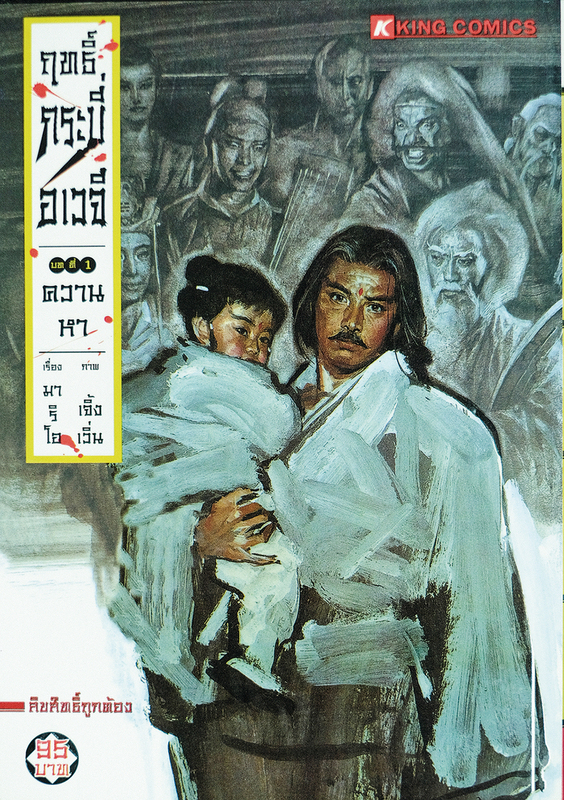 He revolutionized graphic novels by introducing freehand brushstrokes from traditional Chinese painting into his work. He was described in the pages of Japan’s ­Asahi Shim­bun newspaper as a talent so rare and unconventional that he will remain peerless for decades. 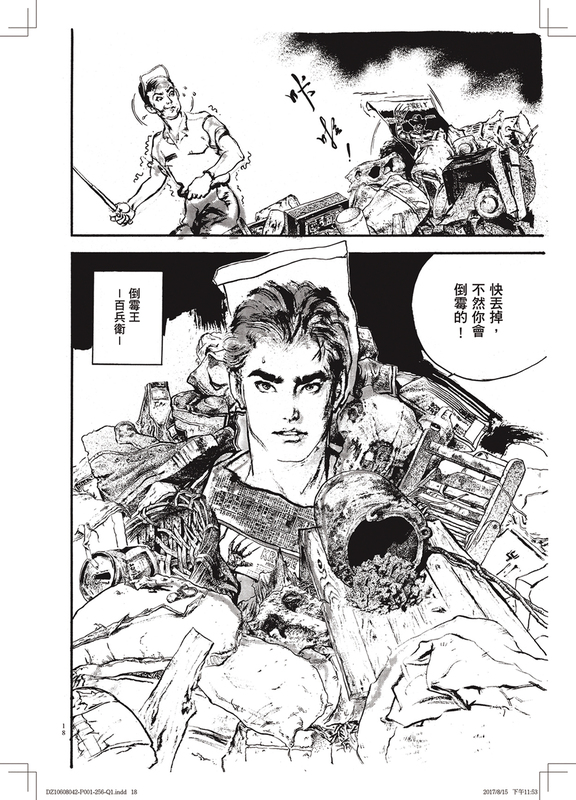 He has influenced a new generation of graphic novelists in Taiwan, Japan, Hong Kong and China. 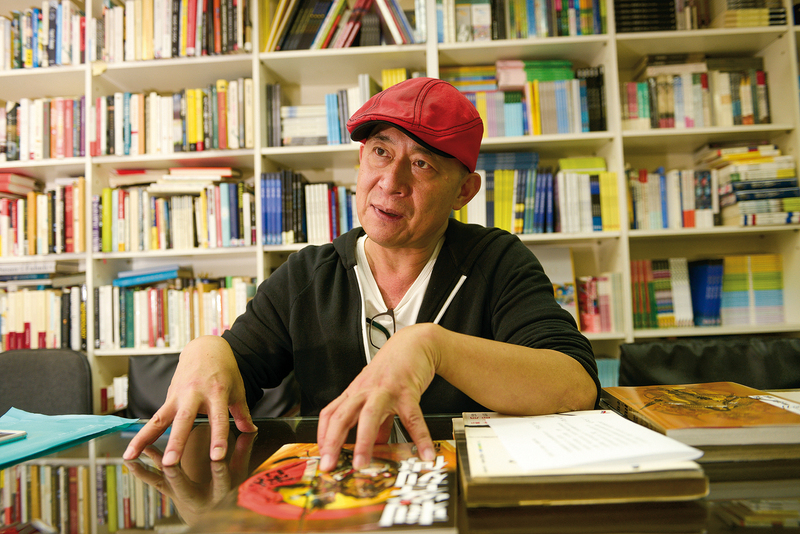 This is the Taiwanese manga master Chen Uen. When Chen Uen passed away in March 2017, his bubbling creativity was suddenly stilled. This June he will become the first graphic novelist to be honored with an exhibition at the National Palace Museum. The master is gone, but through his work readers can linger endlessly in his tales of heroism, exploring his wuxia worlds time and again. 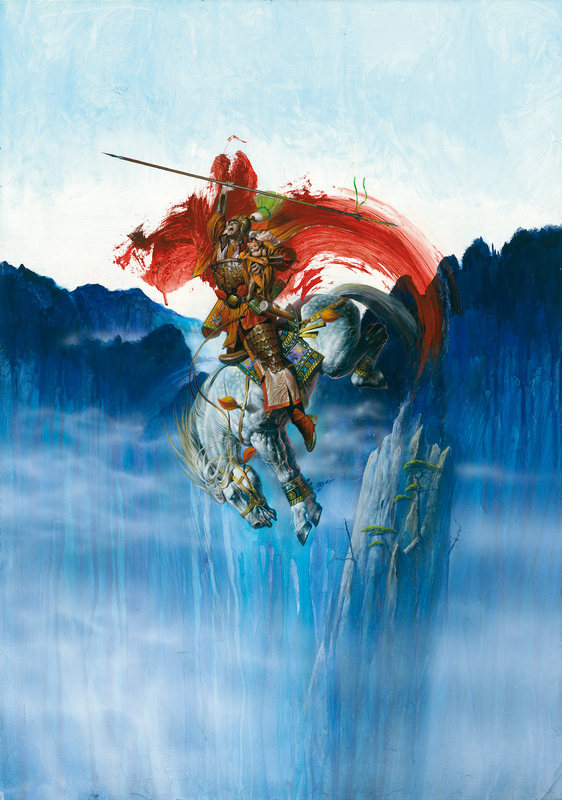 Chen’s career as a graphic artist began in 1984 when the China Times Weekly published his series Panther the Warrior. Less than two years later he caused a sensation with his martial arts series Legends of Assassins. At the time, comics in Taiwan were heavily influenced by Japanese manga in both their drawing style and the characters depicted. Chen was the first to introduce elements of traditional Chinese painting into his work, establishing his unique creative vocabulary. 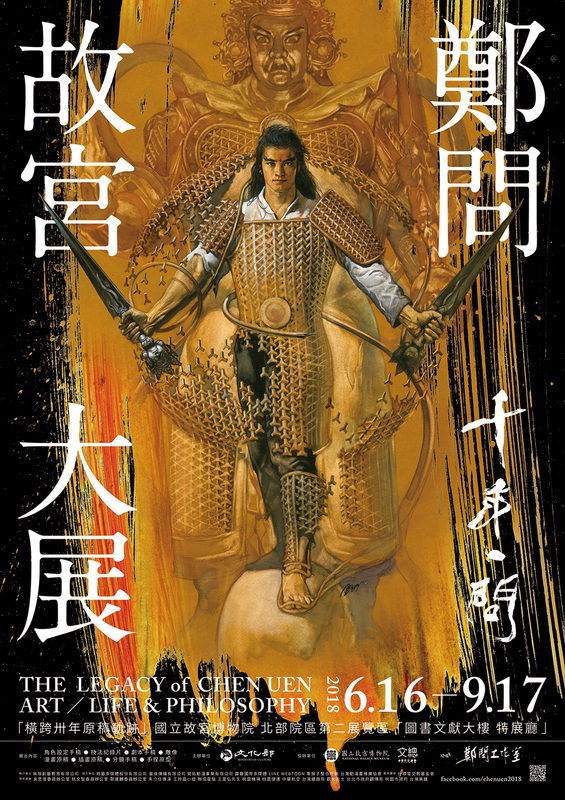 After Legends of Assassins, Chen was invited to create a new series for the new publication Sunday Comics. He collaborated with author Rex How, now chairman of Locus Publishing, who wrote under the penname Ma Li. Together they created Abi-Sword, written by Ma Li and illustrated by Chen. Unburdened by the responsibility of writing the plot, Chen could concentrate on experimenting with the visual images. In Abi-Sword Chen gave free rein to his creative instincts. 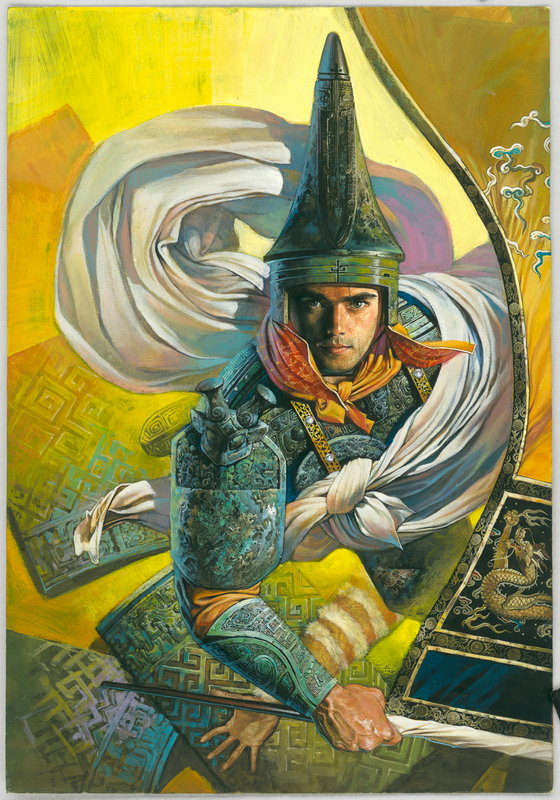 His brushwork blends realism with the flowing strokes of Chinese painting; or he uses fine lines drawn with pen and ink to flesh out architectural detail and his characters’ martial movements, while in crucial scenes thick painted brushstrokes leap off the page, bringing the story to life. For example, when Yu Jing and Shi Fei­hong come to blows in a climactic scene, Chen renders images of 156 striking hands in a cascading motion, in frames laid out across a two-page spread. 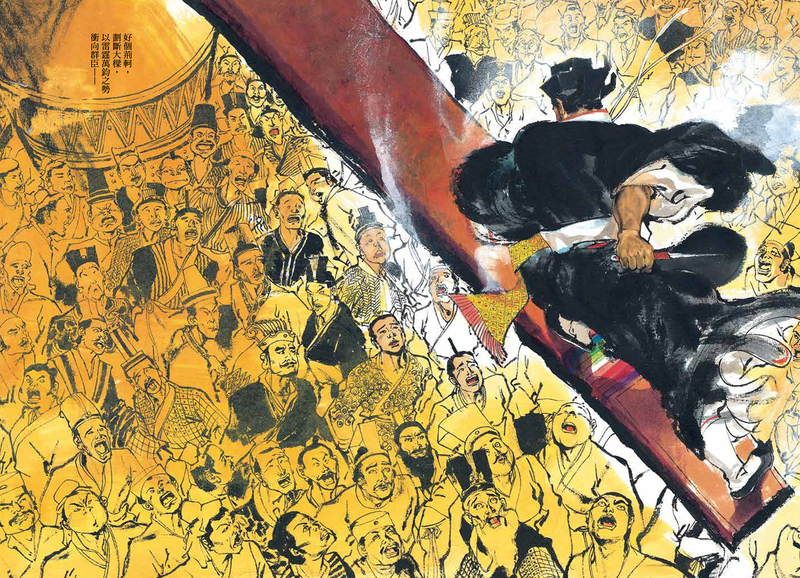 The next spread is a sweep of blank white, with free-flowing lines showing the ­characters’ ­silhouettes as Shi Fei­hong’s sword pierces Yu Jing’s heart; Yu’s outstretched arms and splayed fingers add to the drama of the scene. 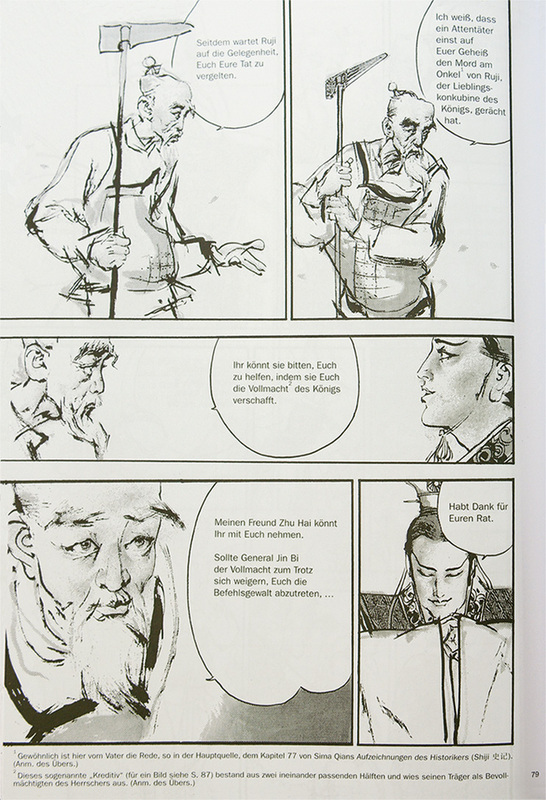 The left-hand page shows the child He Wusheng witnessing the violent encounter. The sudden calm of the image is breathtaking in its effect. Ma Li described the scene as one of the most startling in the series. 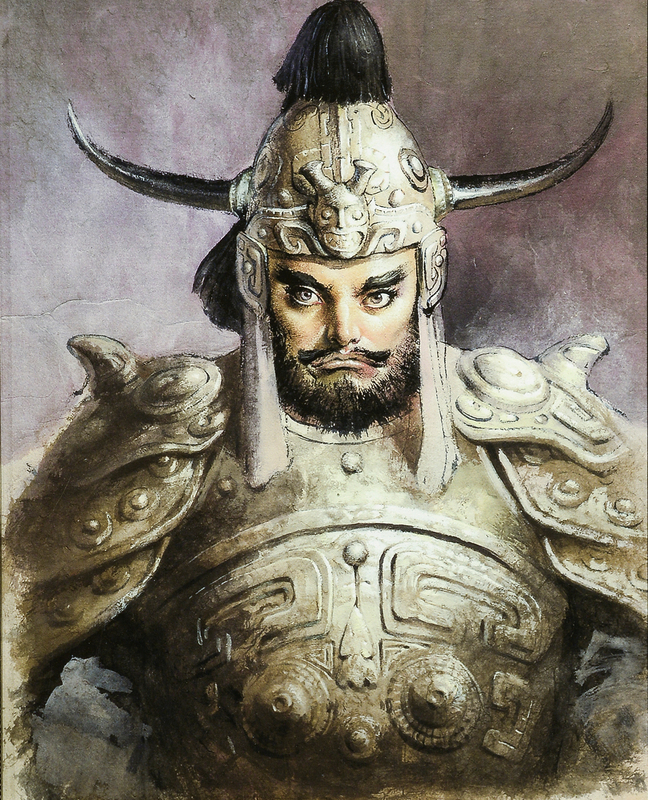 In 1990 Chen accepted an invitation from Ko­dan­sha, a major Japanese publisher, to produce his Heroes of the East Chou Dynasty, which was serialized in the magazine Weekly Morning. His erstwhile apprentice ­Zhong Meng-shun explains that when Ko­dan­sha representatives asked Chen to produce Heroes, Chen told them he did not want to use ink drawing and screen­tone shading. Instead he wanted to experiment with new techniques. 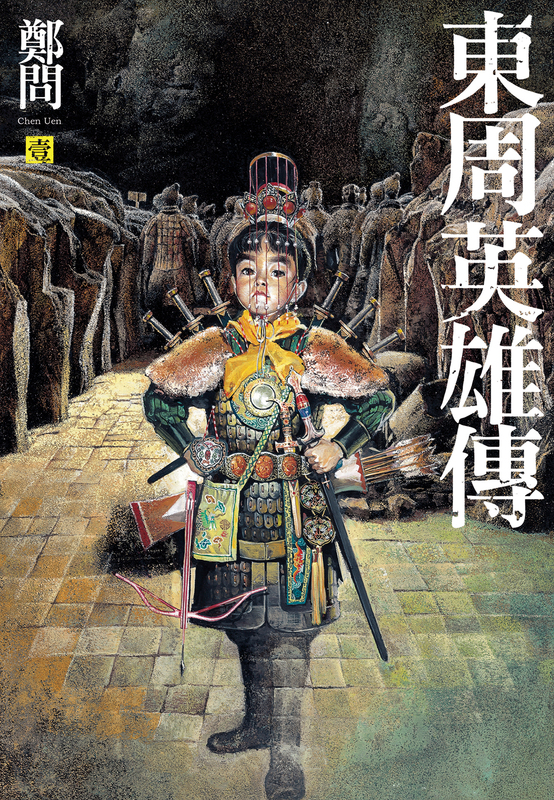 The colored cover image depicting the childhood of the emperor Qin Shi ­Huang, for example, shows terracotta warriors that Chen painted with sand. He also used a variety of other unconventional tools and techniques, including a toothbrush to splatter paint on the page, his palm to apply paint, burning techniques, and a plastic bag to create a textured effect. 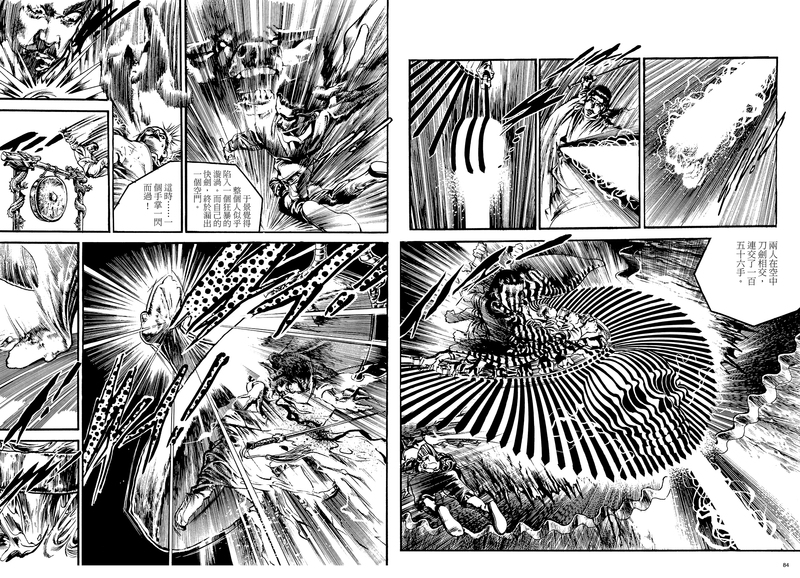 While many manga artists apply screen­tone to create shading, Chen instead used ink-painting techniques to create a screen­tone with a unique blurred effect, which he had specially printed for his own use. Creating comics is a constant race against time. The pressure to turn out new images was intense, but Chen still labored over the details of his work, and used fine brushwork for all of his illustrations. ­Zhong says that at the time he didn’t understand, but more than two decades later it makes perfect sense to him. 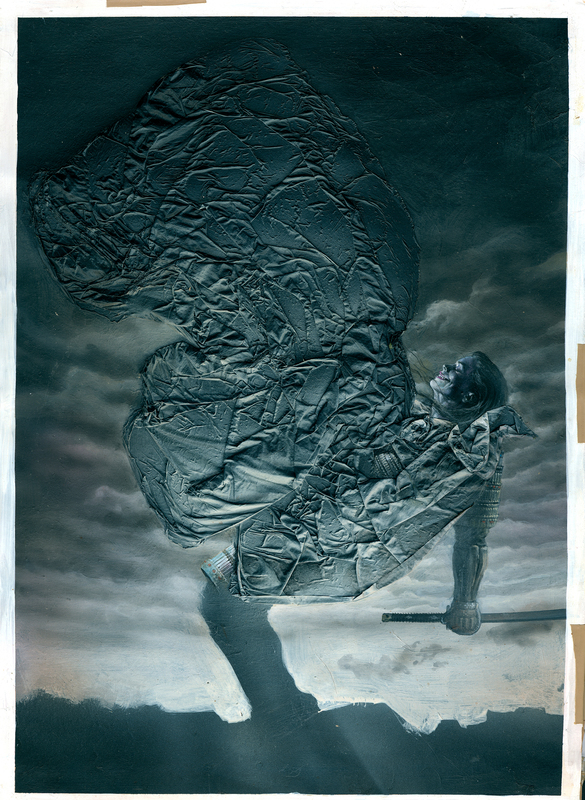 “For him it was art, not just a comic.” ­Zhong says. Chen’s artwork makes quite an impression on most viewers, but as a professional, ­Zhong wanted to understand how Chen managed to produce such effects. Traditionally the images in graphic novels are presented through a limited range of cinematic techniques such as close-ups, long shots, high-angle shots or overhead shooting. Each angle of view represents a choice, but Chen decided to expand the possibilities. He combined Chinese and Western painting styles, painting the foreground in meticulous detail while using freehand methods for the background and using both abstract and realistic elements in a single image. As the choices multiplied so too did the complexity and difficulties, but Chen never tired of the challenge. He continued to experiment with new subject matter and new methods of expression, constantly enjoying the excitement of creative breakthroughs. As a cartoonist, Chen tirelessly pursued innovation in his exploration of destiny and the affairs of mortals. He wanted to see just how far he could push the boundaries of his art. Zhong Meng-shun notes that Chen Uen was driven primarily by a creative desire that pushed him to constantly innovate. It was not always an asset to his commercial career, but it was essential to his art. “So we must think of him as an artist, not as a cartoonist,” ­Zhong says. In his life, Chen spent time in Taiwan, Japan, Hong Kong, and Beijing and his work has been translated into Thai, German, English and Korean; negotiations for Italian and French editions are also under way. In 1990 Chen was invited to serialize his work in Weekly Morning. 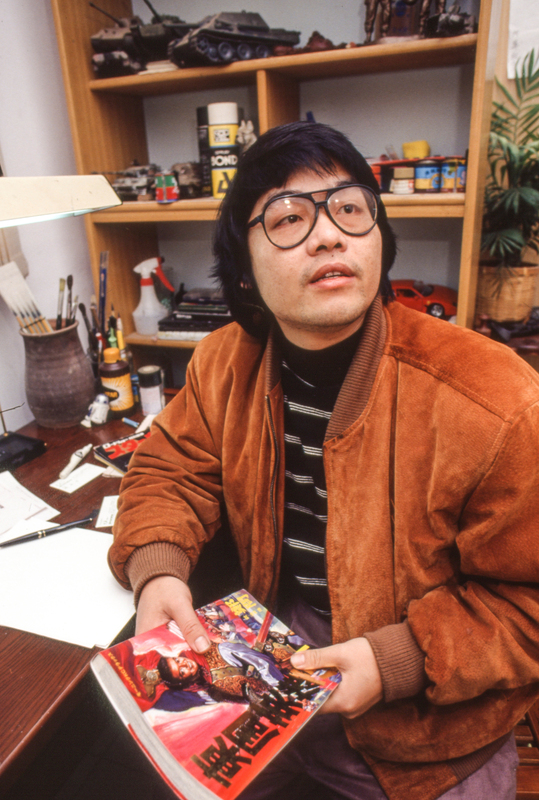 He was the first non-Japanese to ­become a ­staple on the Japanese manga market and in 1991 became the first non-­Japanese to be awarded an Excellence Award by the Japan Cartoonists Association, for his series Heroes of the East Chou Dynasty. Chen’s reputation has also expanded beyond the world of comics. He is quite famous among gamers as well. In 2001 he became art director for video­game maker Game Arts and oversaw production of the PS2 game Romance of the Three Kingdoms, which included more than 200 characters from the famous historical novel, all rendered by his own hand. In the marvelous final product, characters’ personalities are instantly recognizable from their expressions and appearance, and Chen’s art vividly ­captures all of their majesty, dignity and depth. In 2003, he moved to China to work as the art director for an online PC game that was likewise based on the novel Romance of the Three Kingdoms. 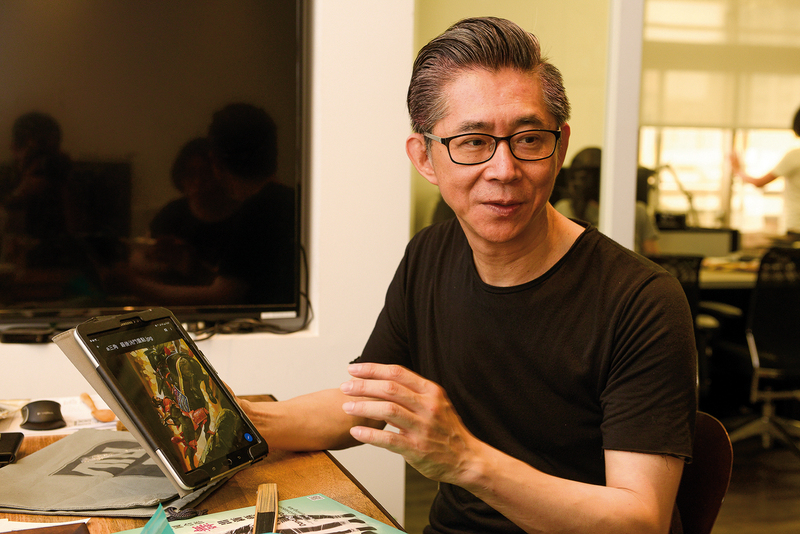 At the time the studio became known as a talent incubator, and many of China’s well known video­game designers got their start there. The exhibit “The Legacy of Chen Uen: Art, Life & Philosophy,”curated by Zhong, is slated to open in the busy vaca­tion month of June and will feature 250 examples of Chen’s original page art. ­­Zhong hopes that visitors will come away with a deeper understanding of this remarkable artist. Zhong has arranged for visitors to be able to get close to the original artwork, to see, for example, the thumbnail-sized characters that Chen drew using a magnifying glass, and the effects produced by the many strange tools he used to paint. Visitors will be able to discover the many hidden surprises in his work and see how he extended the boundaries of painting. “As a reader I feel remarkably fortunate to have lived at the time he was working,” writes novelist Wu Ming-yi. Authors Chen Ko Hua and Ruan Guang­-min have also recorded their memories of Chen. ­Ashin, vocalist for the Taiwanese band Mayday, has written a song for the exhibit, and there will be performances of traditional Pili glove puppetry. The exhibition poster was created by well-known designer Feng Yu. Wang Shi and Wang Wan-jo of Activator Marketing have produced a documentary film about Chen’s life. It seems that all of the arts community want to pay their respects to this unique talent. “This is not just an exhibition about Chen but also a celebration of Pili, Ashin and the National Palace Museum,” says ­Zhong. “It is the most important gathering of Taiwan’s cultural circles.” This is a rare opportunity to showcase the power and growing confidence of local culture. Chen was famously unsociable in person. “All I have to say is in my paintings,” he once said. All that Zhong Meng-shun wants to say about Chen Uen can likewise be found in the exhibit. He hopes that visitors will come to understand the life trajectory of this trailblazing graphic novelist.